The University of Manchester has been using Nikon CT for almost 20 years. The first system – an XT H 225 – was installed in the year 2000. 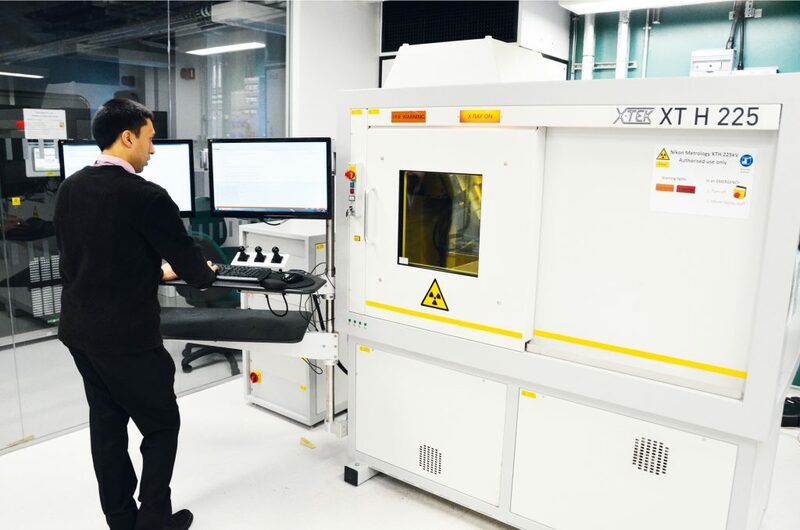 Following this first investment, the Henry Moseley X-ray Imaging Facility was established in 2003, based around the capabilities and the flexibility of the XT H 225 and the newly built Nikon 320 kV large-envelope system. Subsequent installations followed, and today, there are 11 imaging systems in the X-ray Imaging Facility, three of which are Nikon systems. Large walk-in bays and custom setups are perfect for IPC development and 4D-CT time-lapse studies. Parmesh Gajjar, Reasearch Associate at the Henry Moseley X-ray Imaging Facility closes the door on the XT H 225 WIR (walk-in room). The facility is open to external companies, for sub-contract inspection in industrial applications as well as the standard research projects. There are a lot of high-end investigations that take place, however there are also often new users. The facility was initially opened for research, but from the start it was obvious with such a novel capability that there was an opportunity to help a range people complete various projects. 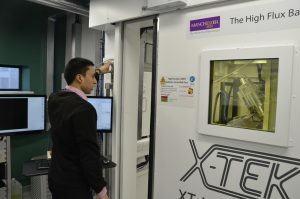 Read more about the work with University of Sheffield on additive manufacturing here. 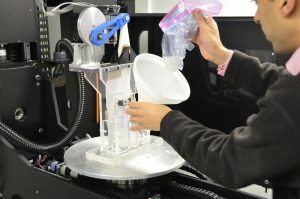 Parmesh loads an in-situ shaking mechanism inside the CT system with glass beads for a 4D CT experiment simulating the Brazil Nut effect. 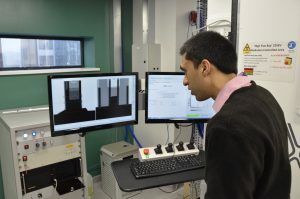 At the University of Manchester, IPC has been used to help implement 4D CT – the introduction of time to inspection projects. For example, the Nikon system can be scheduled to scan biological specimens intermittently. Scans are taken over a set amount of time at intervals, and the growth of a specimen can be illustrated in a video made from the individual time-lapse CT scans, a 3D version of time-lapse photography. Parmesh Gajjar – Research Associate at the Henry Moseley X-ray Imaging Facility. A study of additive manufacturing and the use of CT, between University of Sheffield and University of Manchester – The Influence of Porosity on Fatigue Crack Initiation in Additively Manufactured Titanium Components.